the shining tresses of your hair. Linked to dVerse Open Link Night. I call these people swaggers. I like the last stanza; for me it puts a positive spin on the piece. Reading this poem, Bjorn, I feel like you’re describing a close friend or close family member (female), who always has life’s answer. Regardless, if we want to know these answer, which can drive one nuts. The last two lines – answers to the question you never asked. It is often this way with the breaking away of people in our lives. 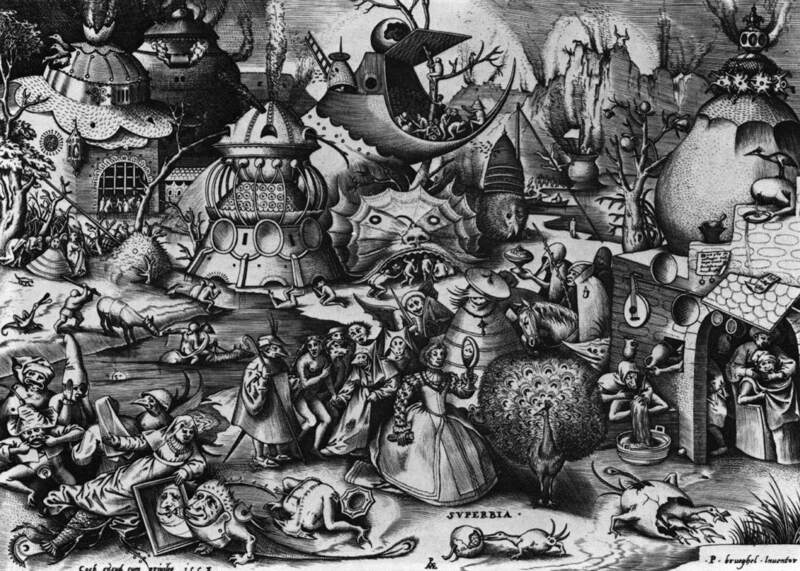 I love the poem and I am intrigued by the picture it reminds me of Bosch- the garden of earthly delights…I guess they were in a similar period. What would envy look like? Good one, Bjorn! I think we’ve all known people like this and you describe them perfectly. Hmm, I think you’re sweet on her and that you like her booty. I think she answers questions you didn’t think to ask, and that you like it. I think I have met some of these people. Some people presumed that they have all the answers. But maybe they do, to some of the questions we don’t dare ask. I feel a slight conflict of emotion toward “her” in this poem. I think some have no idea that they are flaunting….aww, but the pouty lips may be endearing. But I never said it was a “her”…. so much more interesting if it is a man. Aww…yes it is, having read it again. I like the last stanza. It feels like you may have more to say about this topic. I love this because it tells that pride goes way beyond the outward. It’s interesting that the face in the mirror is no less grotesque than those surrounding her, which says a lot about the answers (or “truth”) she has to share. I like the thought of getting answers before one asks the questions. Very descriptive. I’ve know people who possess that attribute! I’m intrigued – the voice of the poem seems to like her, except for the flaunting outfits. But then, Pride is often very fetching at first. I enjoyed your sweet romantic post! Body language says it all!! An apt elaboration of the saying, “Pride goeth before the fall…” Well done! I enjoyed this, Bjorn…..put down poetry has its place where would Bob Dylan be without it…..that “but/ pout/ but/ flaunt/ bought ” rhyme is very clever. I read the title last, and I’m glad I did because I saw three different personas in the three stanzas, or three sides of the same person. Yes, they all represent pride, but in very different ways. I especially like the last stanza.